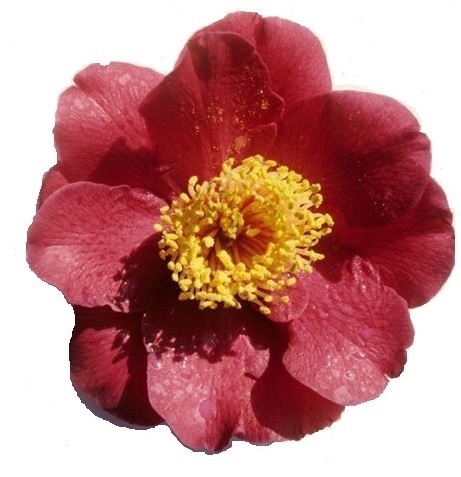 The Camellia Society of the Potomac Valley will hold its annual judged flower show (in cooperation with the American Camellia Society) and a sale of cold-hardy camellia plants at Brookside Gardens in Wheaton, Maryland on Saturday, April 6, 2019. Both fall and spring-blooming cultivars will be available at the sale, which will be held from 10 a.m. to 4 p.m. The display of blooms entered in the flower show will be open to the public from 1 p.m. to 4 p.m., following the completion of judging. Cultivation and landscaping tips will be available and members will be on hand to answer questions from the general public about camellias. If you have any questions about the show, sale or camellias in general, please click here to send an E-mail. Our Society represents camellia lovers from all over the Mid-Atlantic regions, including the District of Columbia, Virginia, Maryland, Delaware and Pennsylvania. Members include gardening enthusiasts, landscapers, nurserymen, horticulturists, hybridizers and anyone who loves these beautiful and easy to care for shrubs! Dues are $10 per person payable annually. Click here to join. CSPV meets on the second Sunday of the month in November and March. The annual CSPV show and plant sale is typically held at Brookside Gardens in Wheaton, Maryland on a weekend in early April when spring blooms are at their height. Click here for the results from our April 2017 Show.